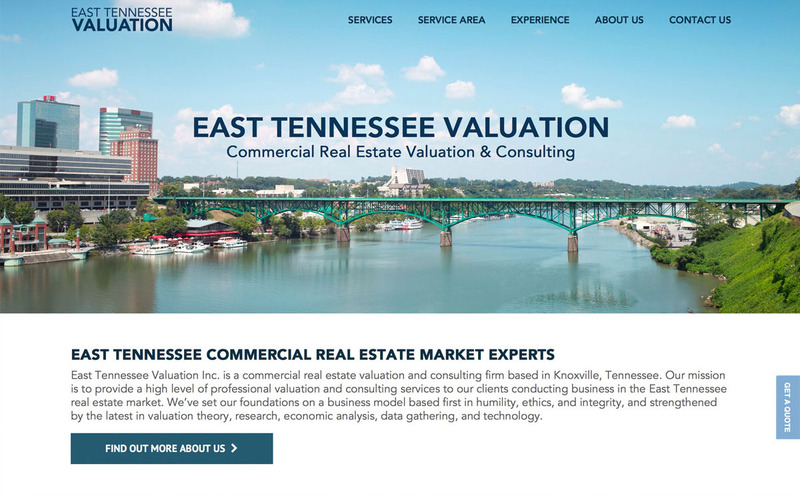 East Tennessee Valuation Inc. is a Knoxville, TN based commercial real estate valuation and consulting firm. In a space where boring, ugly websites are the norm, Jason at ET Valuation wanted a new website design that would be visually interesting and uniquely different from his competitors. New Frame Creative worked with Jason and his team to develop a scrolling, parallax website featuring lovely professional photography of East Tennessee, subtle animation features, custom designed maps, and beautifully designed content.